The Liberals released a new French language television ad today, with leader Michael Ignatieff speaking over images of typical Canadians. Once again, however, the party has turned to canned images purchased from an online stock photo agency, instead of taking real pictures of real party supporters. 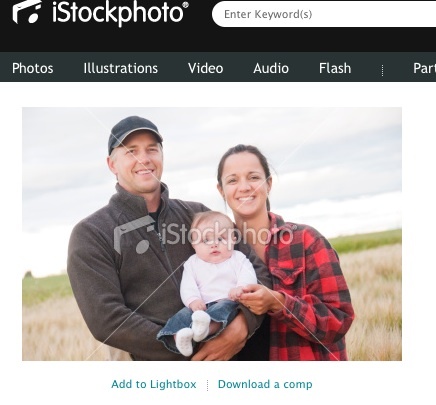 This picture of what looks like a farming family was bought from istockphoto.com. I’ve written a few times about the use of stock images in politics. While I understand that they are cheaper, faster and a lot less hassle than hiring a photog and getting releases, there’s something misleading about presenting pictures of people we presume are party supporters when they are not. At least this image in the latest Liberal ad appears to have been taken by a Canadian photographer, someone named “Vicki” with an Alberta phone number. 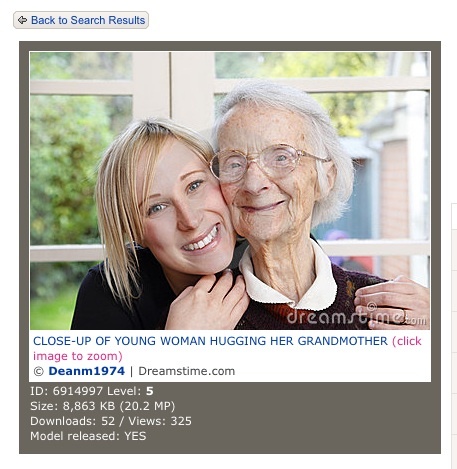 UPDATE: Also, the image of the young woman embracing an elderly woman in the new Liberal ad is a stock photo purchased from photographer Dean Mitchell, in Bridgnorth, United Kingdom. 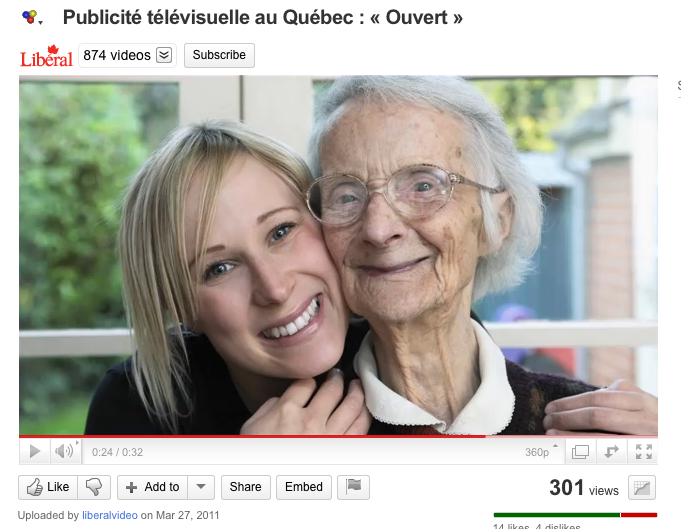 It is entitled, prosaically enough, “Close-up of young woman hugging her grandmother.” There is no indication that this picture was taken on this side of the Atlantic. Readers will recall last election, the Liberals were embarrassed by using a photo of a German man in a hospital bed to illustrate their party platform document. 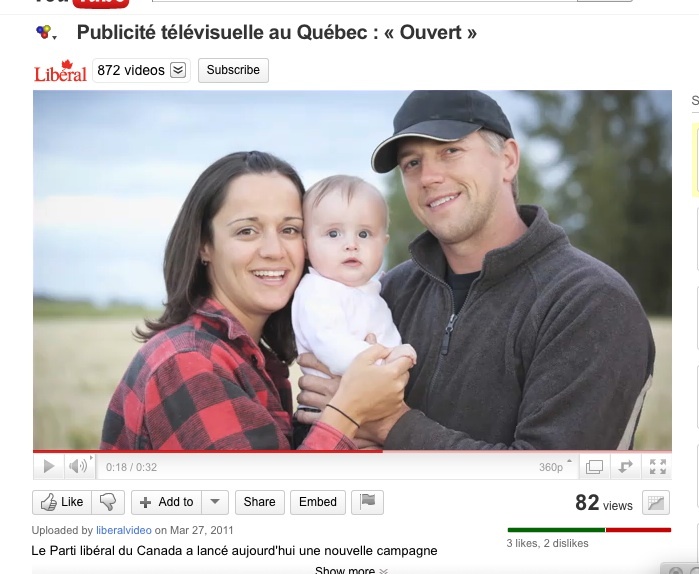 The Tories, in one of their 2008 TV spots, used an image of a typical young couple to promote their $100 child care benefit. That couple lived in California and, needless to say, did not qualify for the benefit.